For too long Egypt’s system of government was beholden to the interests of the elite in power, aided by the massive apparatus of the security state. Breaking point came on 25 January 2011. But several years after popular revolt enthralled a global audience, the struggle for democracy and basic freedoms are far from being won.Media, Revolution, and Politics in Egypt: The Story of an Uprising examines the political and media dynamic in pre- and post-revolution Egypt and what it could mean for the country’s democratic transition. 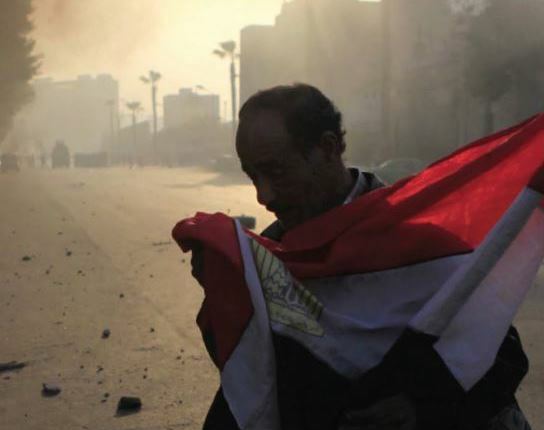 We follow events through the period leading up to the 2011 revolution, eighteen days of uprising, military rule, an elected president’s year in office, his ouster by the army, and the re-establishment of the military presidency. Activism has expanded freedoms of expression only to see those spaces contract with the resurrection of the police state. And with sharpening political divisions, the facts have become amorphous as ideological trends cling to their own narratives of truth. Abdalla F. Hassan has worked as a multimedia journalist, editor and documentary filmmaker based in Egypt for nearly two decades. In 2010 he was a journalist fellow at the Reuters Institute for the Study of Journalism at the University of Oxford. "This is a careful account of journalism’s roller coaster ride in the course of a decade in Egypt, by a writer, fully engaged with the country’s politics and culture and its struggle for a civil society. It is rigorously detailed and sourced, and breathes the air of liberation. Abdalla Hassan has shown, uniquely well, the forces at play in Egyptian society and the result is a most valuable testament." John Lloyd, Contributing Editor at the Financial Times and Senior Research Fellow, RISJ.